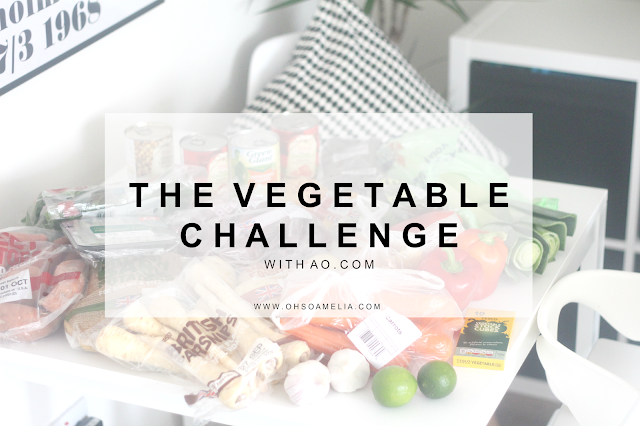 I was recently challenged by AO.com to cook and eat 6 vegetable only main meals out of 7 throughout the week. I originally thought this would be extremely hard but I actually don't eat much meat other than chicken so it wasn't too bad after all. AO.com thinks that vegetables are really underrated and many people aren't getting enough of them in their diet which is definitely true in our house. Perhaps because they aren't aware of the variety of vegetable available and all the delicious ways you can cook it. 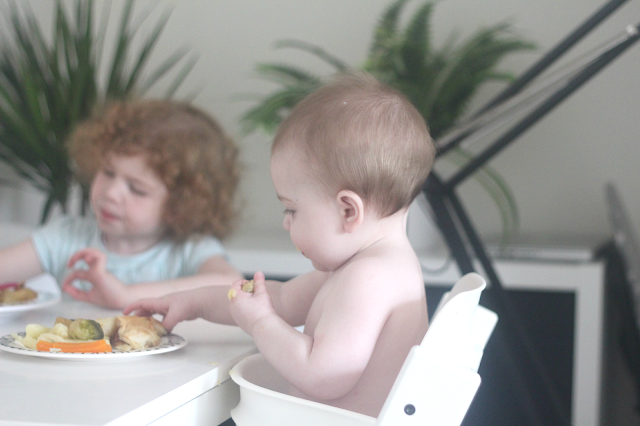 I definitely don't eat as much veg as I should which I know is really bad but I do try and make sure the kids do even if Amelia turns her nose up at it! We were given 6 recipe cards to try out and sent a huge delivery of vegetables to get us started. Wow, I have never seen so much veg in our house in my life! 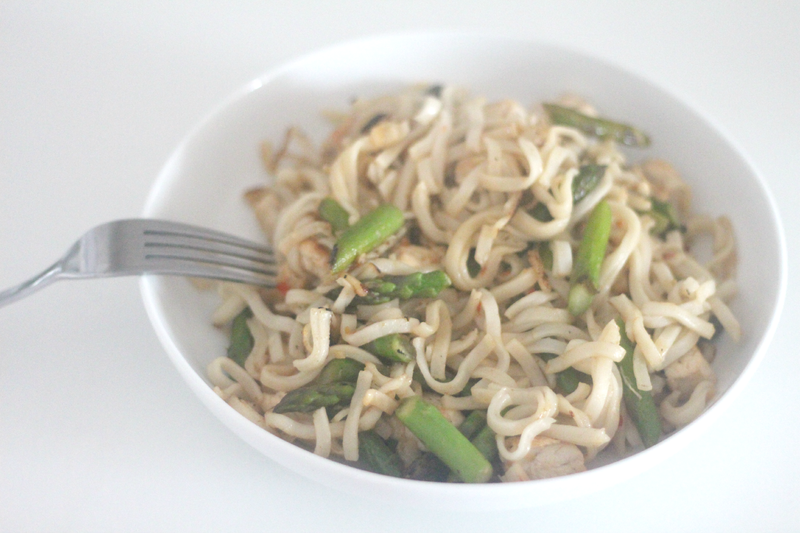 The first recipe I was eager to try was the Tofu & Asparagus Pad Thai although I've never tried Tofu before and it's not something that appeals to me but I thought we'd give it a go. The meal was really easy to cook and very quick too which is perfect for school nights. It was so flavoursome with the tangy sweet chilli sauce and lime juice! I wasn't overly keen on the tofu so would probably leave that off next time and just have the noodles and veg on their own. 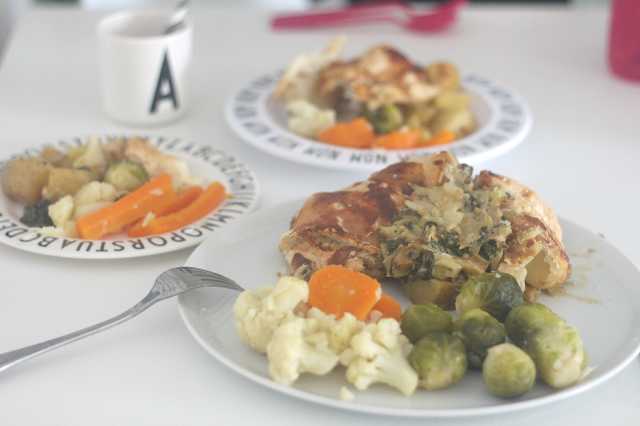 I would definitely make this again and again as the kids both loved it too! 1. Cook the noodles following packet instructions. 2. Mix the lime juice and chilli sauce in a small bowl. Set aside. 3. Add the remaining oil and stir-fry the asparagus until tender. Tip in the spring onions, beansprouts and garlic. Cook for 2 mins more. 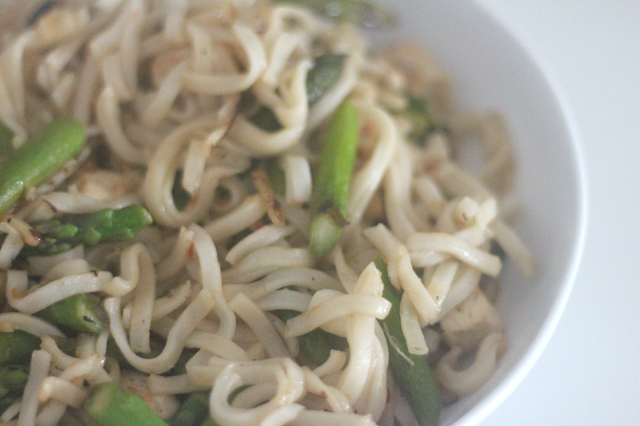 Stir in the drained noodles, sauce and some salt. Mix in the tofu and heat through. Serve with coriander and salted peanuts if desired. Next up we were given the recipe for a Mushroom, Spinach and Potato Pie however as none of us like mushrooms we substituted this for leeks instead. 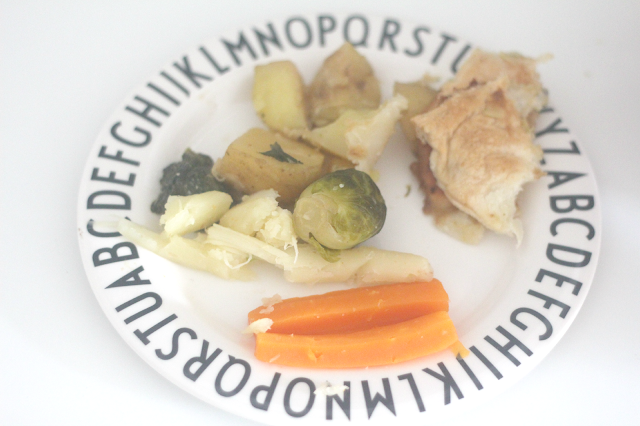 I'm not a big pie fan and wouldn't choose to eat one however I thought I'd give this a go. It was actually surprisingly tasty and both the kids enjoyed it too! I always think of pies with mince meat in which I don't eat so it was nice to see a vegetarian option. The photos don't do the meal any justice as it was a lot nicer than it looks. I'll definitely be making this again soon. 1. Heat oven to 200C/180C fan/gas 6. Wilt spinach in a colander by pouring a kettleful of hot water over it. 2. Heat half the oil in a large non-stick pan and fry mushrooms on a high heat until golden. Add garlic and cook for 1 min, then tip in stock, potatoes and mustard and nutmeg if desired. Bubble for a few mins until reduced. Season, then remove from the heat; add crème fraîche and spinach. Pour into a pie dish and allow to cool for a few mins. 3. Brush filo with remaining oil, quarter sheets then loosely scrunch up and lay on top of pie filling. Bake for 20-25 mins until golden. Serve with vegetables. Other meals that we tried out for the week were Five-a-day Tagine, Veggie Shepherd’s Pie with Sweet Potato Mash, Artichoke, Red Onion & Rosemary Risotto which I wasn't too keen on and a Spiced Root Vegetable Soup which was perfect for this time of year. I'll be sharing these recipes on the blog over the next few weeks. I really enjoyed taking part in this challenge and realised it's actually a lot easier to eat vegetarian meals than I originally thought seeing as I'm not keen on a lot of varied vegetables. 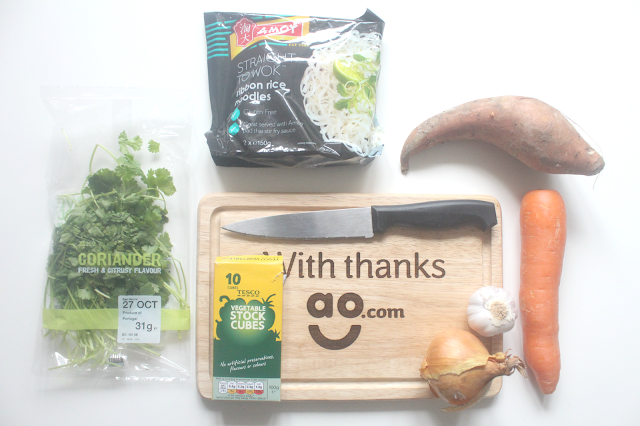 My favourite meals of the week were definitely the Leek, Spinach and Potato Pie and also the Pad Thai. I'll be sure to cook more vegetable based meals over the week rather than just chicken from now on and have been browsing Pinterest for lots of ideas. Are you vegetarian or do you eat a lot of vegetarian meals? I'd love to know! * Thank you to AO.com for sponsoring this post. For details on how I work with brands take a look at my work with me page. I use to eat loads of veg before I fell pregnant with Blake. I really need to start eating more veg again and fruit as well really. 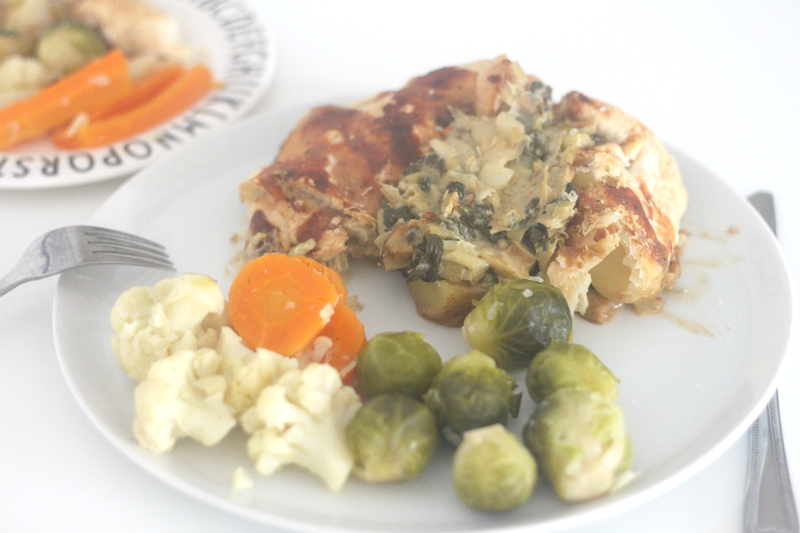 I love the look of these recipes especially the leek, spinach and potato pie. My kids are vegetable kings which I am just lucky and grateful for. They have more trouble eating meat to be honest. I always think they will become vegan one day especially B. Where MM likes some meats. I usually give them two vegetables every night and try to change up their diets as much as possible.